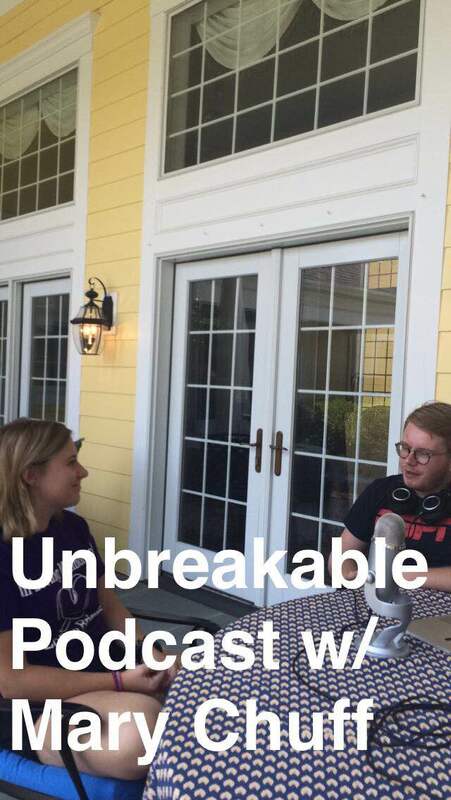 Normally I take my Saturday and record the Unbreakable Podcast with whomever the guest is for that week. However, yesterday was the best holiday of all, and the ensuing party at my house – along with my need to get a new driver’s license – made for a tough time to recording. Then last night I solidified the plan to have my good friend Mary Chuff from Abington Heights and Penn State join me on the podcast this morning. Mary is a journalism student and just spent the entire summer working with recording equipment so we had a professional set up today, even when my Dad popped up to check in with my dog Candy Bob.